• Creation and leadership of the Green Vision Coalition. • Negotiation, creation, and implementation of the advanced mitigation program in the Orange County Transportation Authority’s Renewed Measure M.
• Creation and adoption of natural lands policies in sustainability and planning documents in Orange County and across Southern California. • Researched and authored numerous toolkits to assist cities and planners create more sustainable developments. 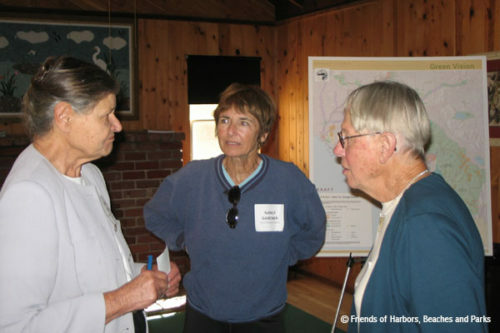 Ten activists created Friends of Harbors, Beaches and Parks (FHBP) as a non-profit 501(c)(3) organization. GreenInfo Network was hired to prepare the first Green Vision Map. More than 60 community groups and non-profits at the local, regional, state, and federal level organized under FHBP’s leadership to create the Green Vision Coalition. 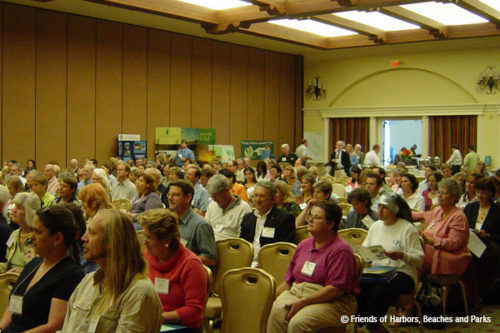 FHBP, in partnership with the Local Government Commission, hosted a “Resource Conservation Conference” at the Hyatt Huntington Beach where land use advocates, business leaders, transportation agencies, government officials, and non-profits discussed pressing issues of mutual interest. The Green Vision Coalition appointed a four-member team to negotiate with the Orange County Transportation Authority (OCTA) to include a comprehensive mitigation program in the Measure M2 ½ cent sales tax renewal. 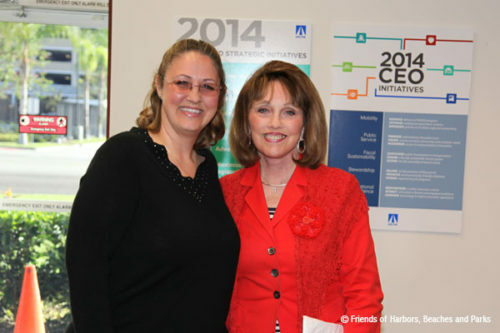 OCTA’s Renewed Measure M went to Orange County voters and passed with 69.7% of the vote. 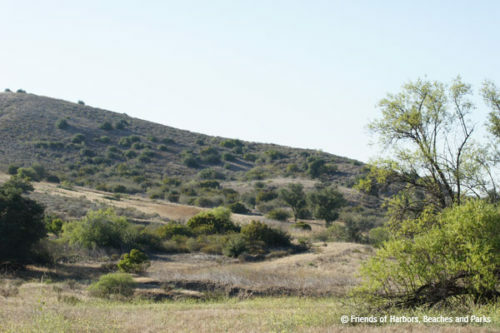 It required a minimum of five percent of the freeway program revenues be spent on habitat mitigation including acquisition, restoration , and management. Under our leadership, more than 30 conservation and community groups supported the transportation measure. The Environmental Coalition that Supported Renewed Measure M and FHBP was represented on the newly formed Orange County Transportation Authority’s Environmental Oversight Committee. FHBP published a General Plan Resource Directory, funded by The Boeing Corporation, that includes relevant and timely information on sustainable policies that offer the opportunity to reduce greenhouse gas (GHG) emissions and vehicle miles traveled (VMT), create convenient and vibrant communities, and ensure our natural resources are protected. To improve communications between interested organizations and the County Parks Department, FHBP initiated and coordinated the “Quarterly Meetings” with the Director of OC Parks. 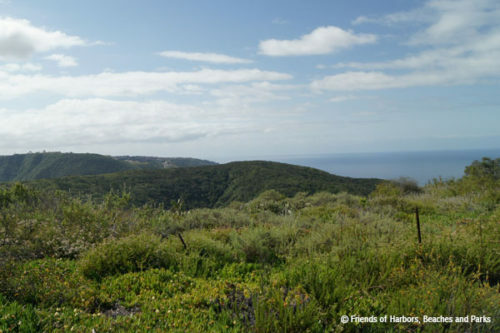 After the passage of SB 375 (the Sustainable Communities Act), FHBP began working with the Orange County Council of Governments (OCCOG) to write and then ensure adoption of California’s first conservation policy in a Sustainable Communities Strategy. FHBP released a “Park and Walk Score” analysis for all 34 cities in Orange County. Park Scores delineate the number of park acres per thousand residents and Walk Scores show how walkable a city is for the public. The Green Vision Map was updated to the parcel level, meaning each owner and assessor parcel number was identified for the protected, unprotected, and threatened properties. New guidelines were established to keep future iterations of the map consistent. Working with the Southern California Association of Governments (SCAG), FHBP assisted in crafting the framework for a comprehensive mitigation program that is linked to SCAG’s Regional Transportation Plan. These policies were the second conservation-focused policies in the state to be adopted in a Sustainable Communities Strategy. As an addendum to the General Plan Resource Directory, FHBP completed the Healthy Communities Toolkit. This Toolkit, funded by The Boeing Corporation, describes the policies and best practices being pursued by communities in California and elsewhere to build healthier communities by directing growth into walkable neighborhoods in existing communities and conserving important local and regional agricultural and natural lands. 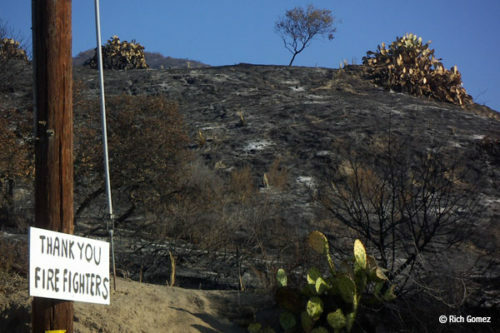 FHBP completed a study to understand wildfires in the Santa Ana Mountains and Laguna Coast. FHBP reviewed 100 years of data including fire perimeters, points of origin, and fire frequency. A Park Accessibility and Sufficiency Report for three park-poor cities was written by FHBP. The report outlines more than a dozen ways cities can improve parks and park programs. Under the leadership of FHBP, a 30+ member Southern California Conservation Coalition was formed to focus on the 2016 SCAG Regional Transportation Plan/Sustainable Communities Strategy. The Plan was adopted with a first-of-its-kind Natural and Farmlands Conservation Appendix including policies written by FHBP. FHBP held its 20th Anniversary event at the Muth Center in Newport Beach featuring a preview of the FHBP video called “A Simmering Unrest.” FHBP received numerous commendations from decision-makers representing Orange County.